Hanging Pendant Print Scroll Sign Nursery Boys Smallest Black - $16.00 : Beautiful Childrens Decor Items, Hand made Prints, Photo Blocks, Wooden Blocks and Plaques. 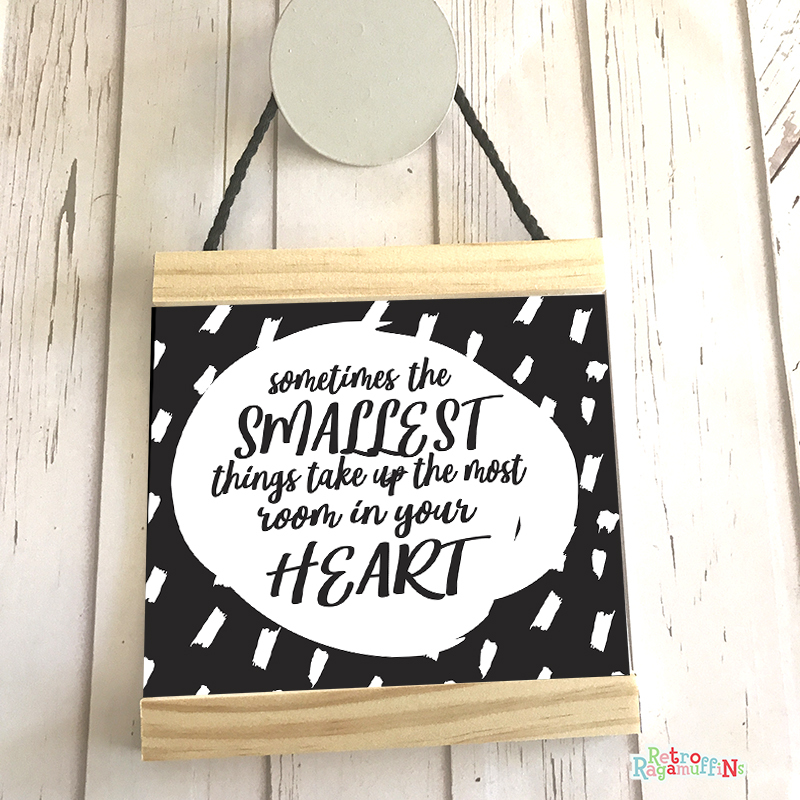 This gorgeous hanging pendant print sign is a cute addition to any child's room. The pendant measures 16cm W by 17cm L (including the wooden end pieces) and comes all ready to hang. This is a paper print with a wood and rope hanger attached. Please note that as this item is made to order please allow up to 5 business days from date of payment for your item to be sent.